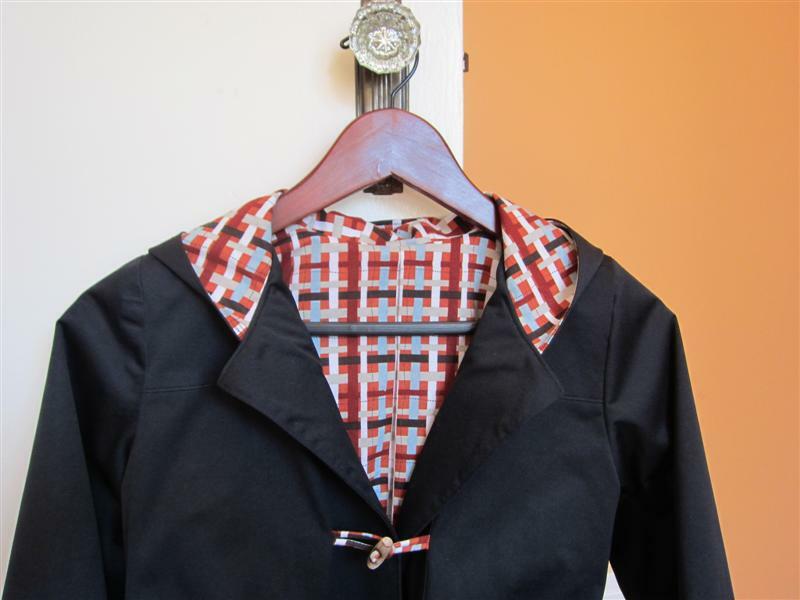 This is a size 8 Oliver+S school days rain coat. I used PUL for the outer again, but I bought it from a different place than where I bought the light blue PUL for Daniel's. This PUL didn't want to have button holes put in the front tabs so I made a cord from the lining fabric and used toggle closures instead. I want to put resin snaps on the plackets to hold the front closed but my son never does them up on his corduroy jacket so I probably won't bother. He likes the toggles a lot, they are easy for him to fasten. No modeled pictures yet. It's currently -8 with snow in the forecast :( I'm going to make a fleece insert with sleeves that will button into the lining. This should do him for a fall jacket too. The lining is Henry Glass dogwood, a fun fabric but only about half of mine was usable. The paid print was way off kilter along one selvage.